According to the World Health Organization (WHO), the workplace is one of the key environments that affect our well-being and health. According to the World Health Organization (WHO), the workplace is one of the key environments that affect our well-being and health. Globally, only 9% of mental health promotion and prevention programs are focused in the Workplace. Recognizing the impact of Mental Health on general productivity and output quality, Havas Ortega conducted a Wellness Week as part of the TALK Mental Health Program, an initiative that advocates opening the conversation on Mental Health in the workplace and taking the necessary steps to address the issues around it. Of 537 poll participants, 73% answered that they currently don’t have existing Mental Health programs in their work place. Another poll revealed that oftentimes, it’s a company’s work environment that causes employee stress over and above one’s actual workload. 69% of 667 poll respondents chose Work Environment over 31% who chose workload as their cause of stress. 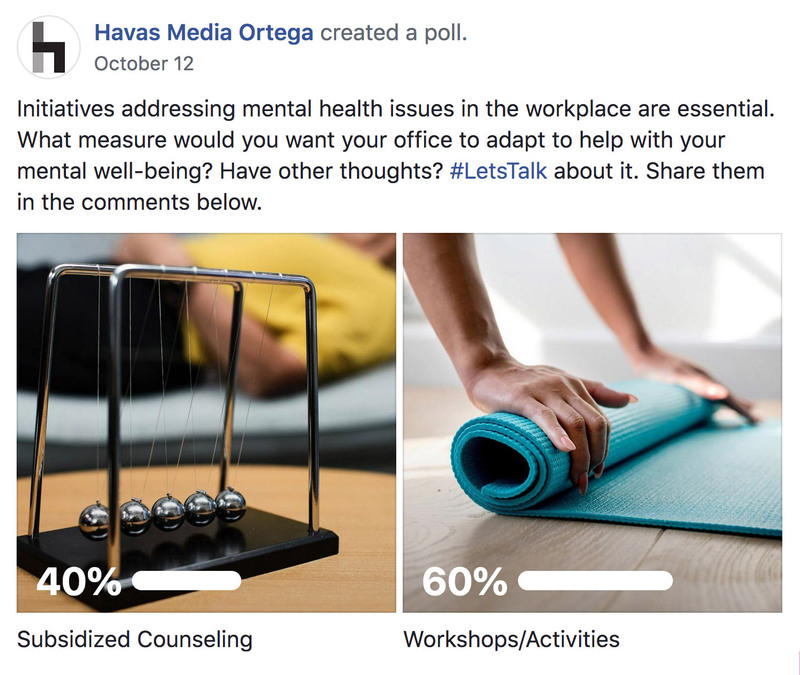 Workshops/Activities in the workplace focused on mental well-being proved to be more popular to employees as a measure to address Mental Health issues, rather than providing subsidized counseling according to 60% of 1.5K poll respondents. 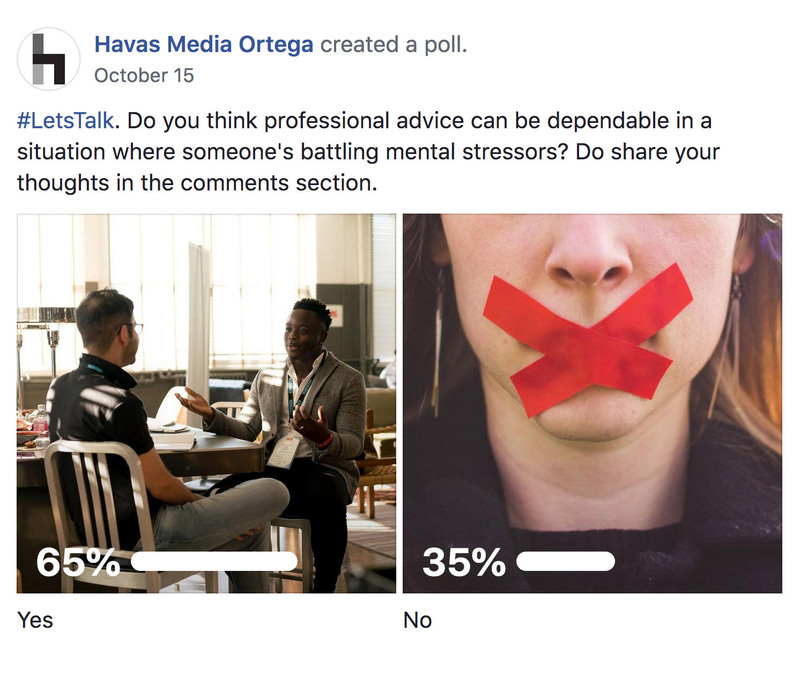 However, 65% of 287 poll participants still felt that professional advice can be a dependable solution for people battling mental stressors. A recent study revealed by the WHO reveals that the global economy loses up to 1 trillion US dollars annually due to lost productivity caused by Mental Health issues such as depression and anxiety. “We spend at least 9 hours a day at our workplaces. If it’s not a healthy environment for your mind, body, and soul, your output and morale will definitely suffer,” states Philippa Keys, ex-officio of InTouch Philippines, a non-stock, non-profit organization that has been providing mental health services in the Philippines since the 80’s. 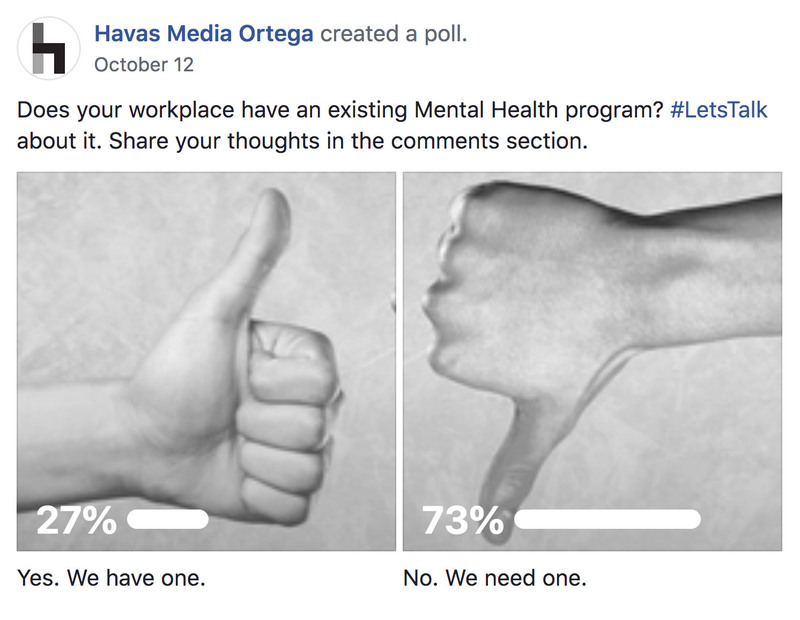 Earlier in the year, Havas Ortega partnered with InTouch Philippines to develop the first ever formal internal Employee Mental Health program in the Philippine Advertising industry. Through this program, employees are provided with subsidized counseling sessions and exclusive access to a 24/7 crisis line as means to provide professional support in addressing Mental Health issues. Mental Health Skill Builder sessions were conducted by trained psychologists throughout the year, based on topics voted on by the employees themselves. 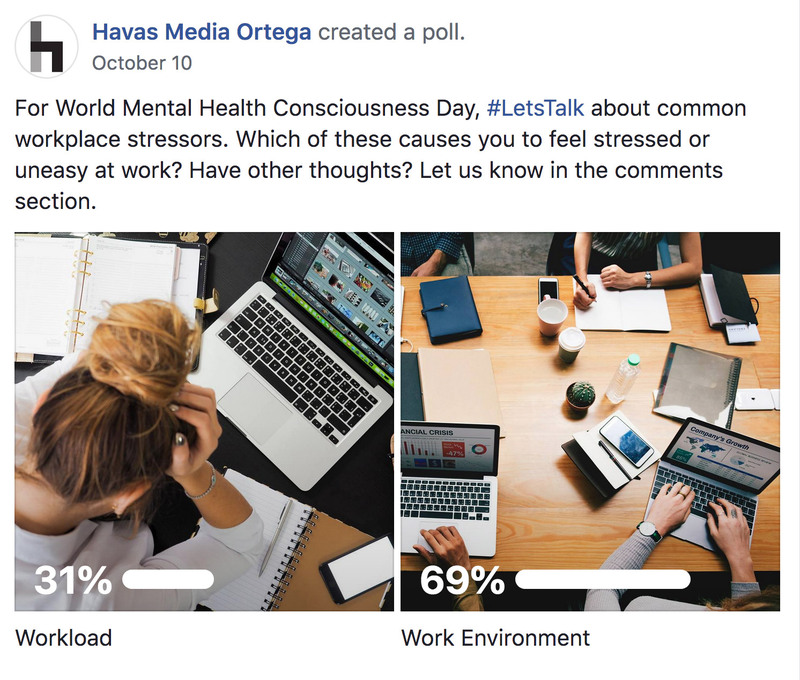 In line with the World Mental Health day last October 10, Havas Ortega also conducted its first-ever Wellness Week, devoting at least one hour of each day to wellness and mindfulness activities such as meditation, art, tangling, chair yoga, essential oils, coffee making and calligraphy. Proponents of the TALK Mental Health Program are hoping that similar programs will be adapted by other marketing and communications agencies, making Mental Health measures a permanent fixture in company benefit plans moving forward.